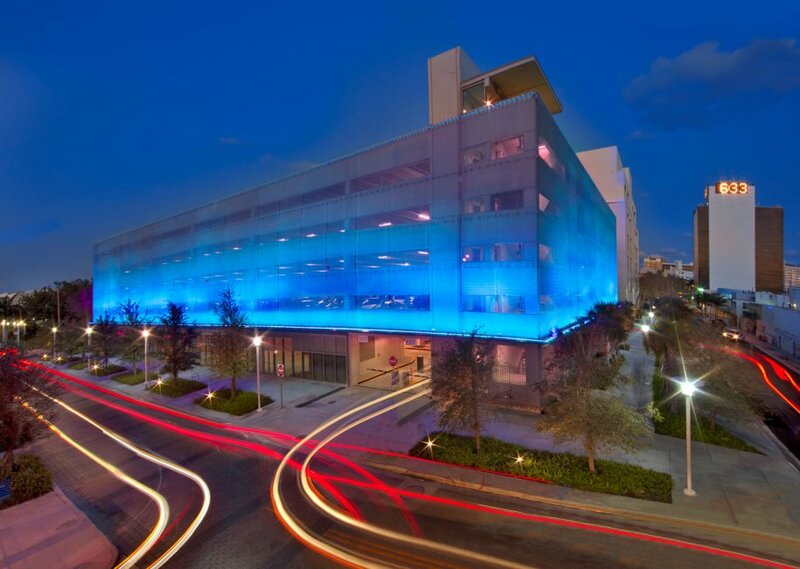 The City of Miami Beach, in partnership with the New World Symphony, commissioned Gehry Partners LLP, a Los Angeles-based architecture firm established by renowned architect Frank Gehry, to design and build the Pennsylvania Avenue Parking Garage. The project is part of a campus that includes a new home for the New World Symphony America’s Orchestral Academy with a 700-seat concert hall also designed by Gehry’s office. The City of Miami Beach is building a new city park in front of the New World Symphony building to complete the campus. The parking structure prominently features GKD-USA’s Helix 12 woven metal mesh panels as the primary exterior facade element. The mesh facade is lit in the evening by LED lights for a dramatic visual effect. 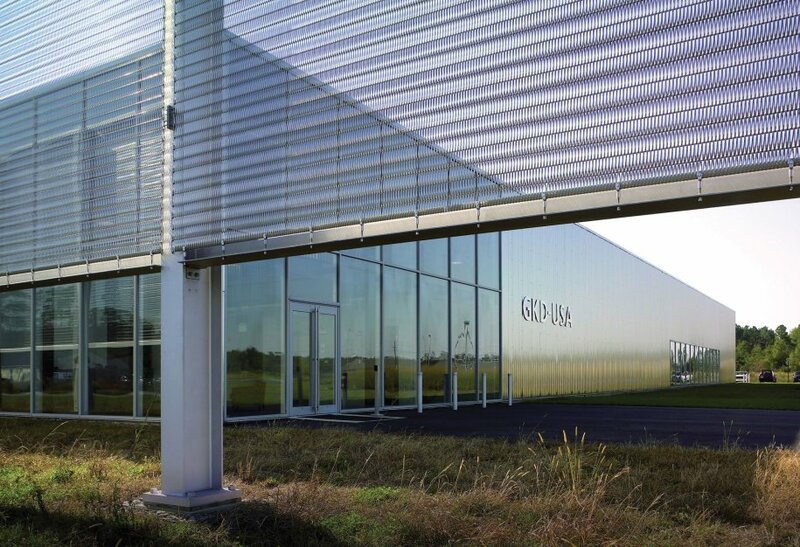 The design of GKD-USA, Inc. corporate headquarters in rural Cambridge, MD was the result of an atypical collaboration between client and architect. While the construction of the new facility was precipitated by growth and the need for an additional workspace, the simplicity of design and use of the company’s own product resulted in a showcase of woven metal fabrics.